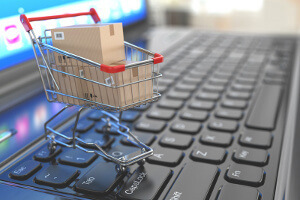 The seamless integration of our Retail environment with our Back Office Wholesale and Distribution environment allows companies operating simultaneously in both lines of business to manage their wholesale orders side by side with their over the counter sales, for a perfectly and harmoniously consolidated management of the company-wide inventory and accounting. Companies like Cooperatives can take advantage of the possibility of handling Account Receivable payments at the Store Cash Registers in any of the stores of the Company. Companies that manufacture or distribute products wholesale can also provide an integrated system to handle their Retail operations without the need to have separate system that pump information between them, but with a system that keeps both sides of the business permanently updated through the use of a single Company Database.